Donald pato Transformer Transformed in to SuperHero. This is how the Donald pato transformer looks when it's transformed.. Wallpaper and background images in the pato donald club tagged: donald duck disney transformer toy superhero. 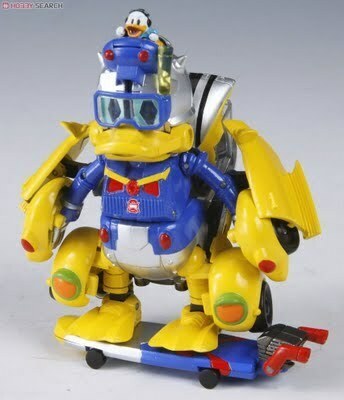 Its Awesöme wöw Karen Dönald Is Actiön Hero Team Duck Becöme Möre Pøwerful.! Sylvie's Pöör Möuse hmm :-):-). He's certainly ready for anything here! What a SuperHero!